Posted September 29th, 2016 & filed under Announcements, News. AUGUSTA, MAINE – September 29th, 2016 – The Maine Grocers & Food Producers Association (MGFPA) is proud to announce their prestigious 2016 awards. Food City and Save-a-Lot Stores located in Bridgton, Lewiston, Lisbon Falls, Livermore Falls, Turner, Waterville, and Wilton is the 2016 Grocer of the Year; Raye’s Mustard of Eastport, is the Producer of the Year, and United Insurance of Portland and 14 locations throughout Maine is the 2016 Associate of the Year. Posted September 28th, 2016 & filed under Announcements, News. Third Annual Best Bagger Championship to honor our state’s “best” grocery checkout bagger. 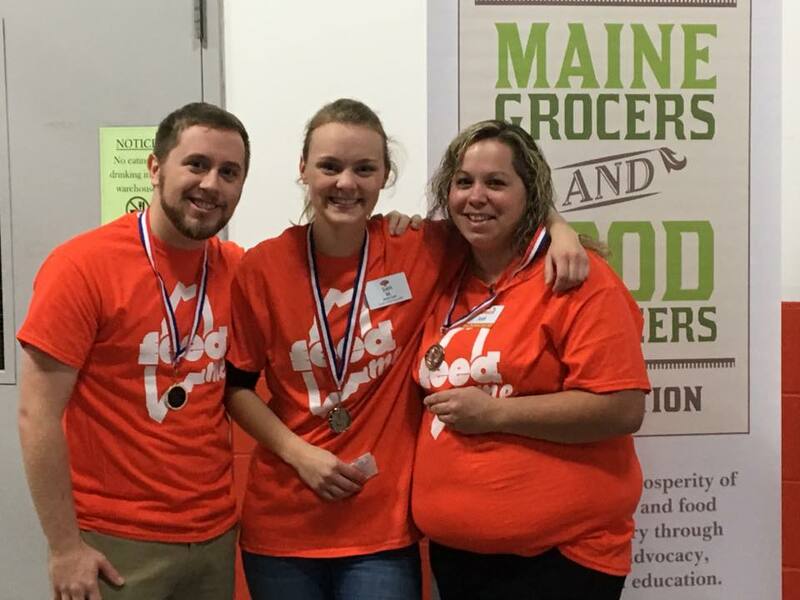 Congratulations to CHAMPION: Matt P. of Hannaford, 2nd Place: Samantha M. of Hannaford and 3rd place contestant: Jodi D. of Shaw’s! Watch coverage via WCSH6 and the Sun Journal. Posted September 27th, 2016 & filed under Events. Governor Paul LePage received a letter from the U.S. Department of Agriculture highlighting the newly passed federal legislation regarding the specific clause that preempts states from implementing their own GMO labeling regulations. The letter also makes note that the USDA will shortly begin rule making to set in place a national standard for the labeling of genetically engineered products. Maine’s GMO labeling law which is not in effect remains on the books but will not be implemented.